As recently as two weeks ago we believed that Vietnam was home to the world's best sandwiches. But no more. We've been torta-fied. A torta is a Mexican sandwich comprised of any one of a number of fillings nestled between the halves of an oval roll called a bollilo. I've long known of the existence of torta, but never thought to actually try one. To tell the truth, until I caught banh mi fever in Vietnam sandwiches just seemed so pedestrian, so American. If you're going to eat Mexican food, I thought, why eat a sandwich? Then one day last week we were trolling for lunch in Espanola, New Mexico. 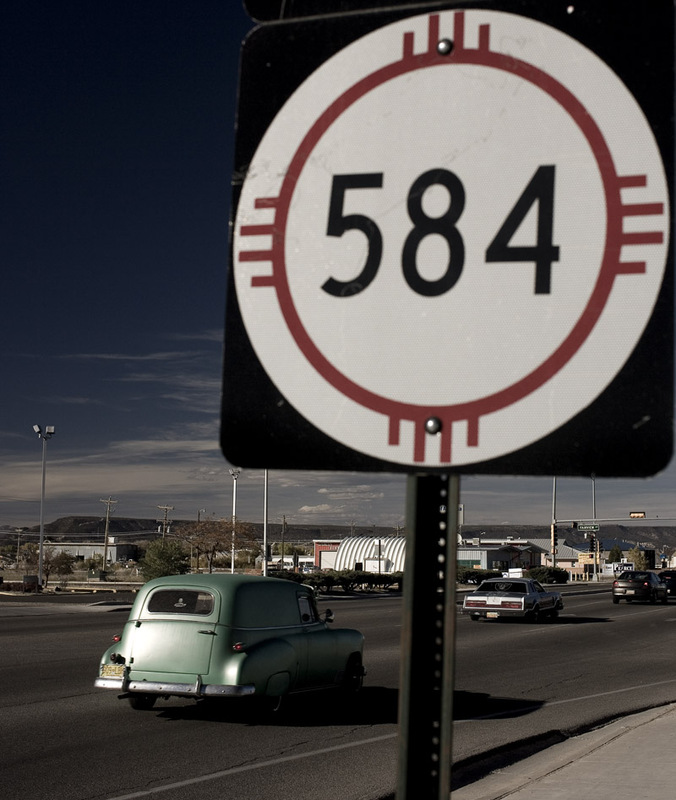 Route 584 is not a pretty stretch of road (at least not the part that runs through Espanola), but it is nonetheless intriguing for its large number of what I like to call EWPs (eateries-with-potential). You know, the sort of exceedingly plain-in-appearance restaurants and strip mall holes-in-the wall that can be surprisingly good - or horrifically bad. 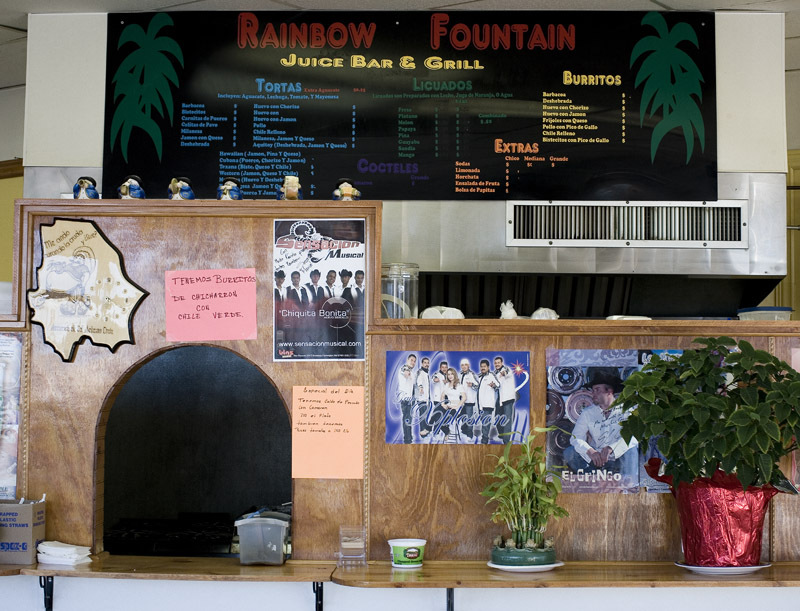 Tortas Rainbow falls into the former category. It's a strip mall corner shop EWP staffed by a couple of cooks from Durango and a stone-faced auntie who sits behind the cash register. We entered assuming we'd order burritos, but then our eyes fell on the filled-to-bursting buns in the hands of a couple of patrons near Tortas' entry. Ordering burritos was suddenly out of the question. 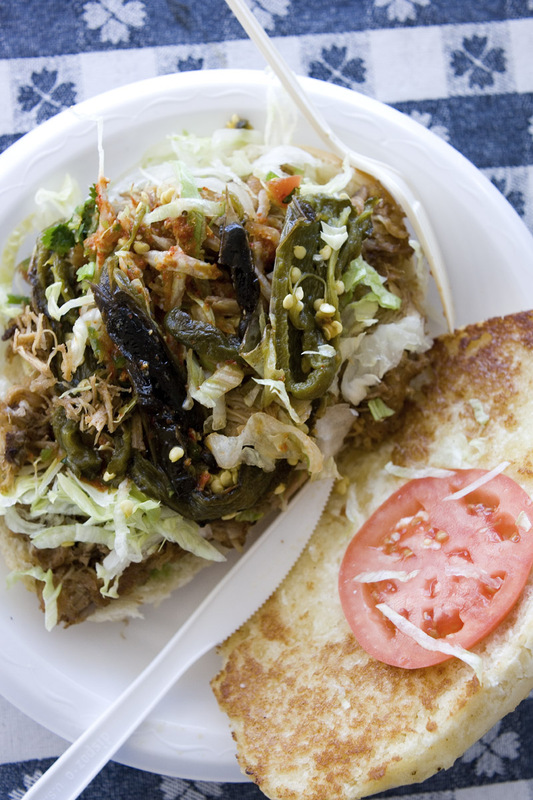 The tortas come with a choice of red or green salsa and are accompanied, if you wish, by roasted whole jalapeno peppers. We added an optional garnish of pico, a fresh 'relish' of chopped jalapeno peppers mixed with chopped tomatoes and onions. My torta, oozing cheese and redolent with the smokiness of the green chilies, was gone before Dave could capture it on camera. His boasted tender pulled pork. Both included a spread of refried beans carpeted with avocado slices on the bollilo's bottom half and a mound of shredded lettuce, chopped coriander, and sliced tomatoes piled atop our respective fillings. They were spectacular. What really makes a torta special is the bollilo - soft but not mushy, chewy but not tough, and substantial enough to hold up to a hefty filling (and lashings of salsa) without falling apart in the hands. Bollilo, in fact, would make excellent hamburger buns. Before assembling our torta the cook crisped up our bollilo halves with a quick lieabout on the griddle. I can't believe it took us so long to come around to the torta. 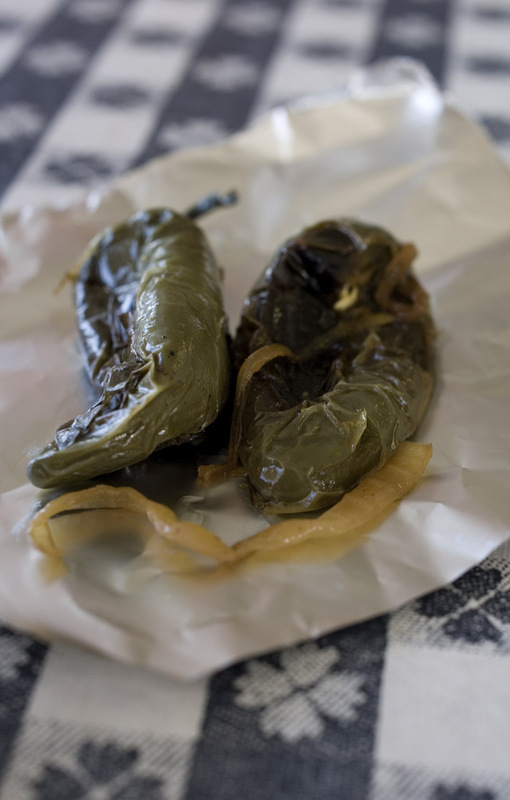 It may well prove to be the Mexican specialty that finally lures us to Mexico. It's certainly a sandwich worth planning a detour from New Mexico around. Tortas Rainbow, Riverside Drive (Route 584) near the intersection with Fairview (across the street from Fairview Plaza), Espanola, New Mexico. And a good Banh Mi too, of course. Luckily living in Colorado gives one pretty good examples of each. Banh Mi all crunch and zing, and the Torta so unctuous and rich. I discovered Tortas pretty late in life too, for the same reasons you mention. The quality of the bread is the key to both. Funny how in theory, the bread's intended to be a vehicle, just something to hold on to to get the filling to your mouth, but really it's always the bread that makes or breaks the sandwich. I love the toasting of the insides on the griddle before filling--just one of the little things that makes all the difference. this looks so delicious. wish there are more authentic mexican restaurants here in manila. Nice! I still say banh mi is the cat's meow, but a fine torta is indeed squee-worthy. San Diego and Los Angeles are also good places for high-qual Viet and Mex eats. Oh, this looks sooooooooooooooo good. Hi, found your blog through Raw Petai. Wow! 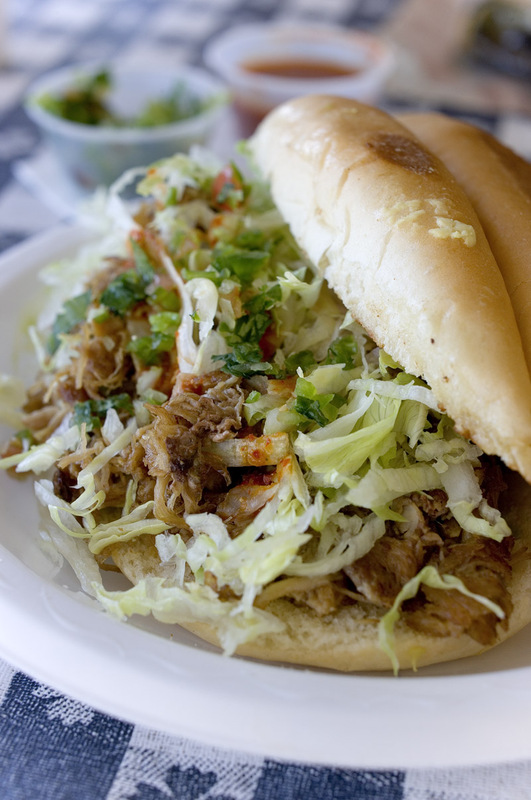 You make this torta sound so divine....I haven't had the opportunity to sink my teeth into one!